Shots, shots, shots, shots, shots...EVERYBODY! And just like that - we're one month in! It breeeezed on by for sure. I won't bore you with random anecdotal chatter - let's get down to business! If you missed my announcement about formally joining the #GrowAndSlayChallenge with CURLS, click here to read all about it! I started off with 12 and ½ inches of hair in my selected growth area on November 9th. Upon measuring December 9th, I was shocked and incredibly pleased when I stretched out that curl and hit the 13 and ½ mark. 1 inch. 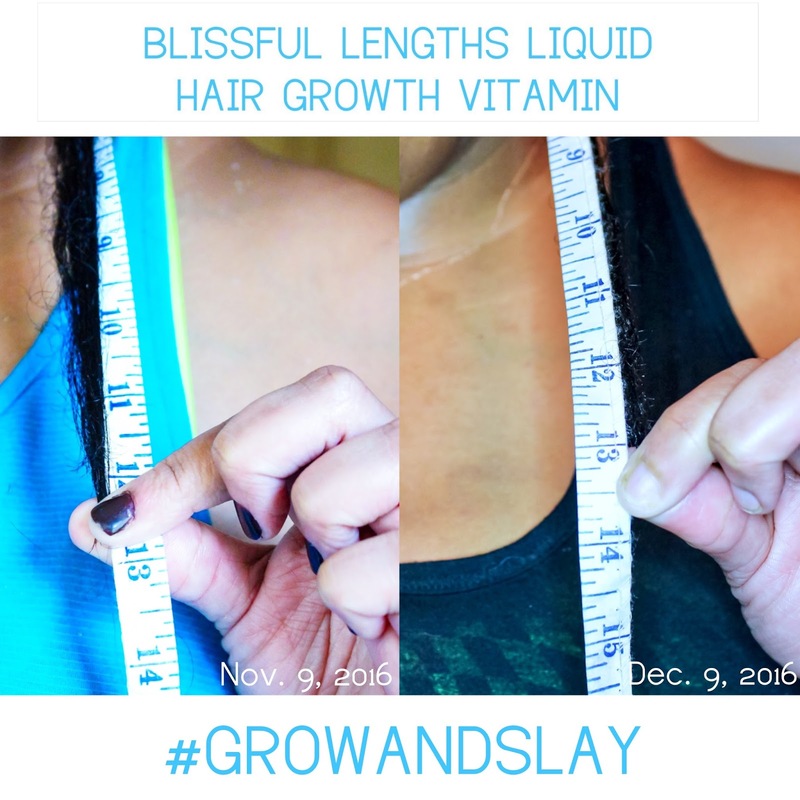 In a month wit CURLS Blissful Lengths Liquid Hair Growth Vitamin. Straight up. For those that need a frame of reference, my hair typically grows 1/2 to 3/4 of an inch in a month unassisted. So I'll gladly take a full inch! But here’s where I’m getting really excited. As of late on wash day, I’ve been having these moments like, “where did all this hair come from? 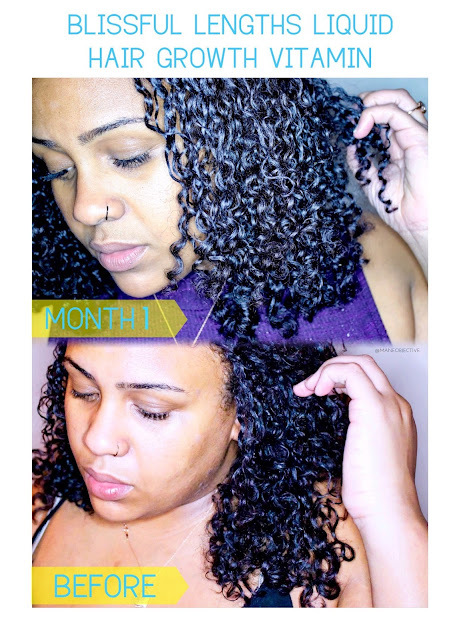 !” Seriously – there’s a fullness in my curls that hasn’t been there in a looooong time. Focusing on a regimen that bolsters the health of my hair and scalp for surely is paying off – and I believe that the Blissful Lengths vitamins are playing a key role in encouraging my progress as well. It's not just about extra length. Fullness is another great benefit! I’m excited for what month 2 holds in store! When I told y'all I was coming for my peak healthy curls circa 2014, I wasn't playing! The #GrowAndSlay challenge involves a private Facebook group and participation on Instagram with the #GrowAndSlay hashtag. To get your invite, DM @frizzfreecurls on Instagram. This round of the challenge ends 12/31! Do you find the vitamins are working for you? This is a loaded question. Based on my growth comparison from November to December, I'm confident and leaning toward yes as far as growth is concerned. But you guys know I don't hastily jump to conclusions. If I can make it to month 2 with positive progress, then it'll be a definitive yes. Stay tuned! Yassssssss! I love it when we're on the same page! While 1 month is a little too early for an exhaustive list of pros and cons, I can definitely say that I've experienced great benefits with minimal drawbacks. The biggest pros right now are the ease of dosage, it's easy on the stomach, doesn't interfere with any of my other supplements, doesn't break me out, and doesn't keep me up at night. The only con I've experienced thus far is of my own doing - I didn't read the fine print about refrigerating after opening, lol. My first bottle sat on the shelf the entire time - but I made sure to get it right with bottle 2 and 3. Are they more effective than The Mane Choice pills? Right now, I can't say. After 2 months, I'll answer this one - because that's how long I took The Mane Choice vitamins. But full disclosure here - I had The Mane Choice's original vitamin formula, not plus. The easiest shot I've ever knocked back. Not like blueberries, lol! 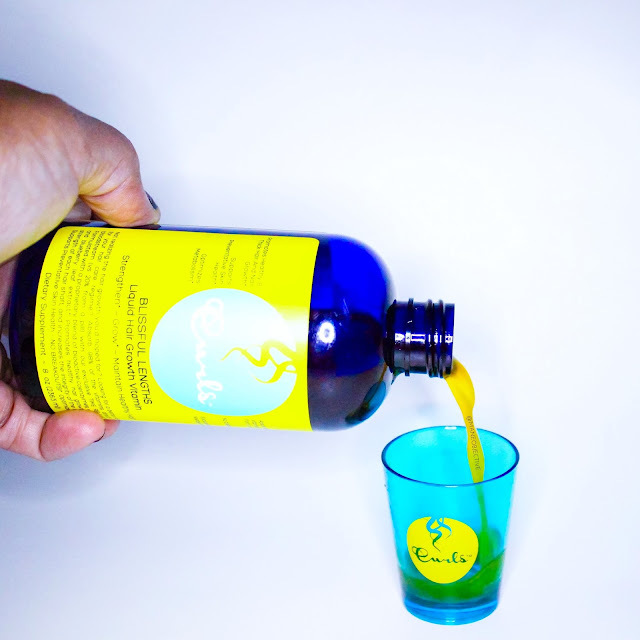 I'll definitely admit that I was completely confused when I saw the blue bottle, the packaging in line with the rest of the Blueberry Bliss Collection, and then...orange stuff poured out. The taste, I can't really compare it to anything, because this is my first time ever taking a liquid vitamin. Although I will say it reminds me of vitamin chews - sweet and fruity, but still vitamin-y. Definitely not nasty, though! Does an entire bottle last one month? Did you have any acne breakouts? No breakouts! Always a great thing. Nothing worse than sacrificing healthy skin for hair growth. Did it taste good enough for you to remember to take it everyday? The taste is pretty good - but I wouldn't say that was the driving factor that made me remember to take it. I did miss a few days (I ain't perfect), but the ease and convenience is what really drove me to remember. Even though I'm real about my vitamins and supplements, I'm finicky about how I take them. I gotta get the water, and then count out the pills, and so on, and so forth. With Blissful Lengths I just pour a shot and knock it back like bam! It's easier for me to take this more than an actual shot, lol. Have you ever tried Sugar Bear gummies? If so how do they compare? Has it caused any tummy issues? Does it leave an after taste? I'd like to see a comparison with some of the other growth supplements you have taken. @kayelaine always with the realness! This is an excellent idea. When my #GrowAndSlay journey is complete, I’ll do a comparison with all the vitamins I’ve taken! 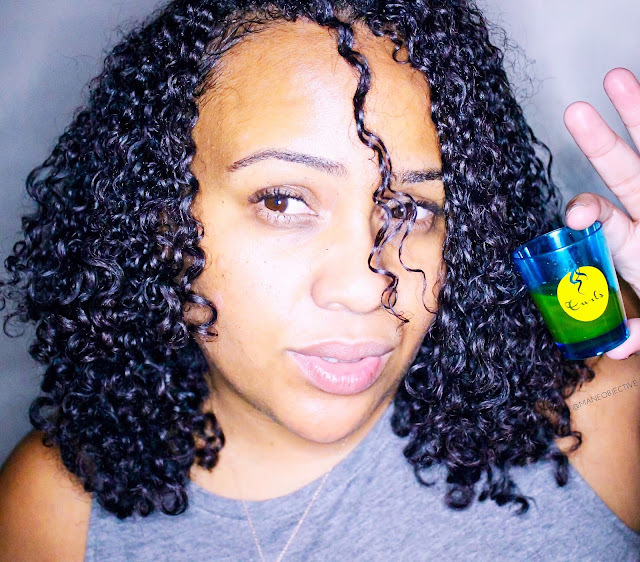 All in all, I’m super thrilled about my one month progress with CURLS Blissful Lengths Liquid Hair Growth Vitamin. Onward and downward (because these curls are GROWING) in month 2! Got questions about the vitamins that I didn’t answer here? Leave ‘em in the comments below! Don’t forget to follow @frizzfreecurls on Instagram to get all the details on the #GrowAndSlay challenge! This cycle ends December 31st – but there’s going to be another one starting up and some major coinage is at stake! Hi! I just read the directions a day after having my daughter take it and forgot to refrigerate. Just opened the bottle 24 hours ago. Did you throw your 1st bottle out? If you didn't, did it make you ill? Concerned for my 17 year old.